Free Internet, Free wireless, Free bbq facility, free bed linen, and Free courtesy bus to and from the coach and airport terminals between 7am - 4.30pm or otherwise organised. Breaking news!! 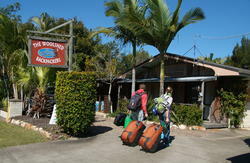 We are saying goodbye to the old Fraser Coast Backpackers and saying a big hello to the new Fraser Coast Top Tourist Park. Our name has changed to better reflect the laid back relaxing break backpackers can now expect from us. Fraser Coast Top Tourist Park has new owners and new managers. The park has undergone massive improvements and refurbishments, you won't believe the difference! 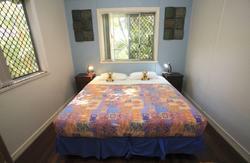 We offer backpackers a quiet relaxing break from the normal, busy 'no time to yourself' hostel. 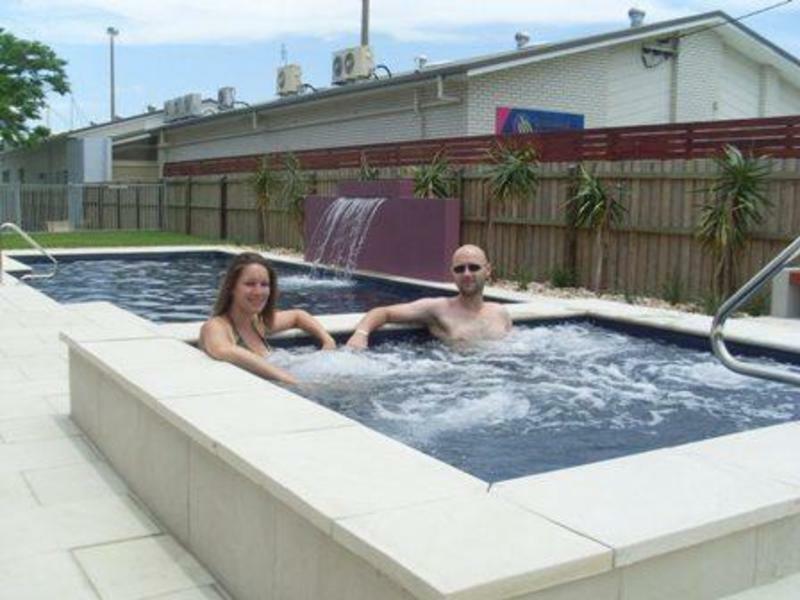 Located in peaceful surroundings you can chill out and read a book on our large deck, maybe fling a few sausages or prawns on the barbie or catch up with friends and family on your laptop using our Free wireless internet service or use one of our computers. Or perhaps relax in the heated therapeutic mineral pool and spa! The beach is a short walk and along the esplanade you will find a large choice of places to enjoy something to eat or drink. Our friendly staff will assist you with all your tour bookings to Fraser Island and recreational activities from our tour desk. Since the change of ownership we have been overwhelmed by the positive feedback from backpackers who have stayed with us and we look forward to seeing you soon. Dorms: We try to offer our backpackers some space and adopt a policy of a maximum 4 per Dorm. By Car: Hervey Bay is located 3 hours north of Brisbane. From Brisbane take the Bruce Highway to Maryborough, then follow the signs to Hervey Bay. Travelling along Boat Harbour Drive, turn left at Queens Road, turn right at Charlton Esplanade, turn right at Denmans Camp Rd. We are on the right hand side just before you reach Torquay Rd. FRASER COAST TOP TOURIST PARK has a FREE Courtesy bus pickup service from the main Bus Station and Airport in Hervey Bay.